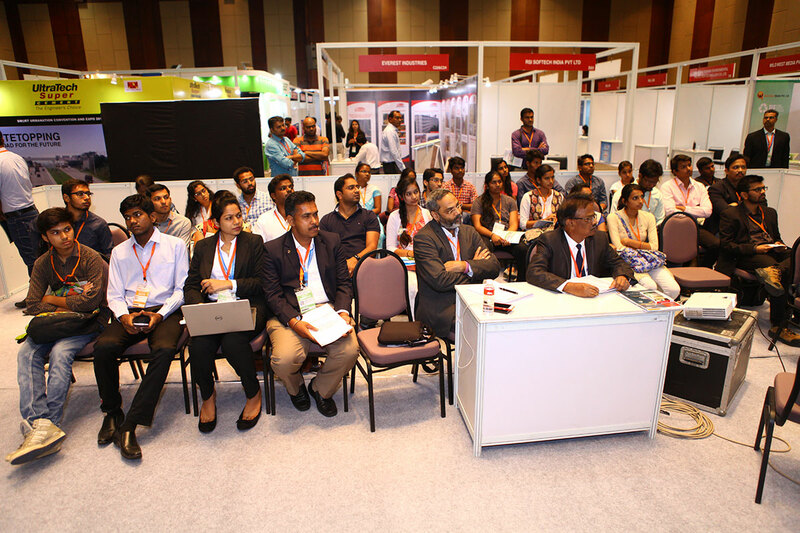 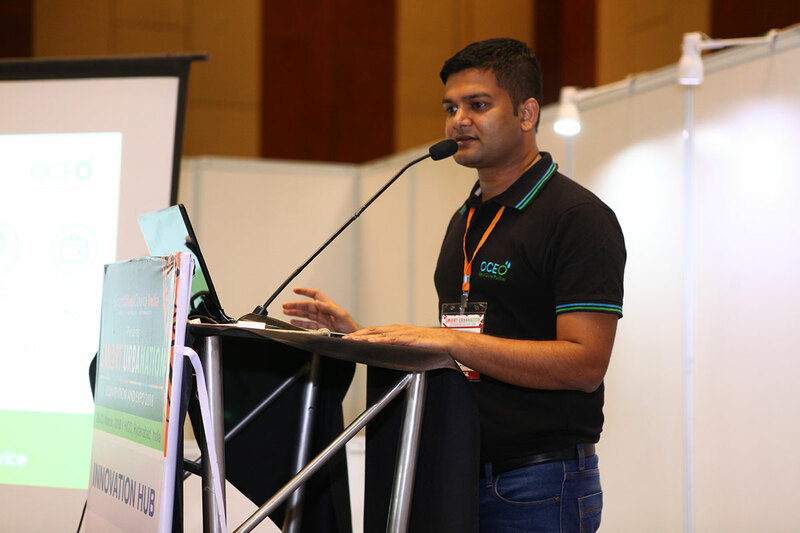 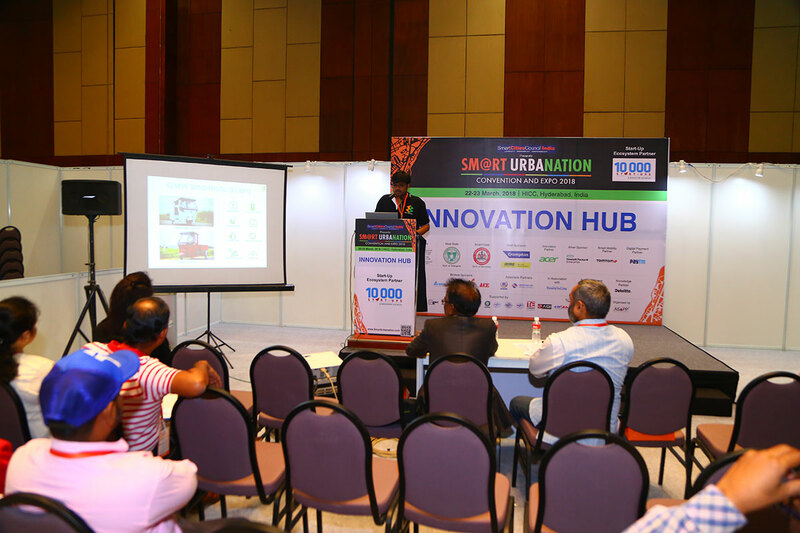 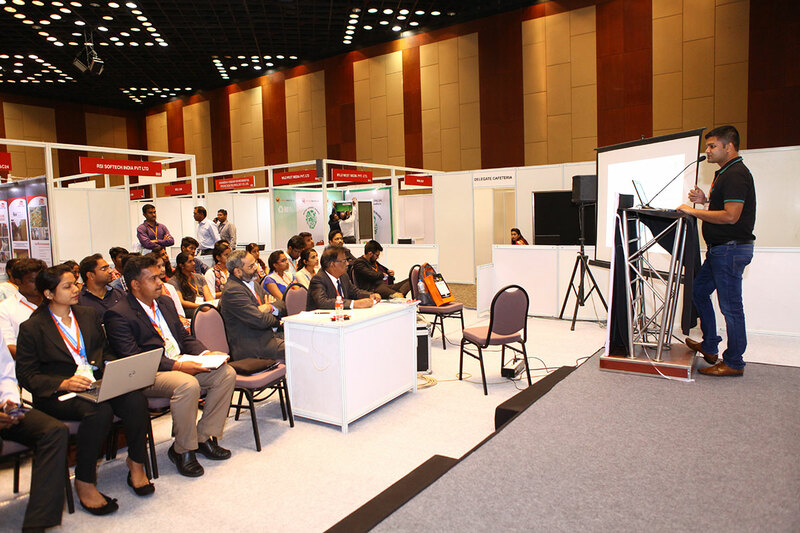 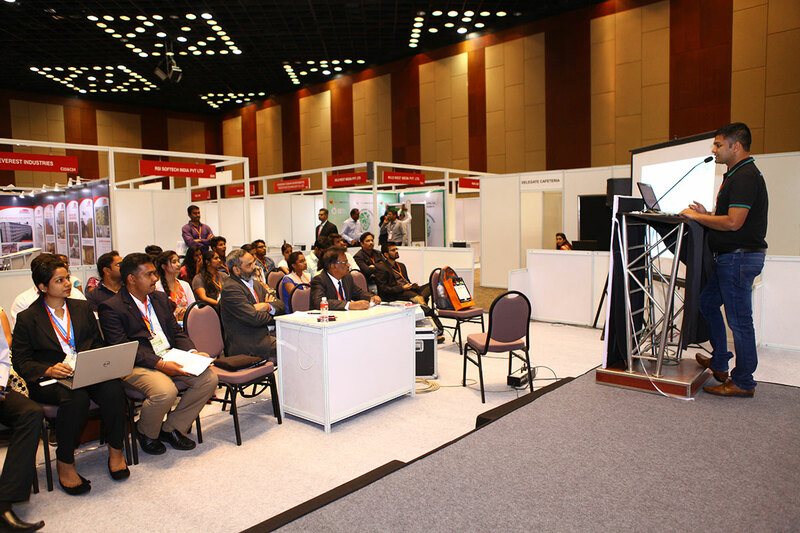 Spotlighting innovation and entrepreneurship, Smart Cities Council India organized a Start-up Innovation Hub at Smart Urbanation 2018, powered by NASSCOM 10000 Startups. 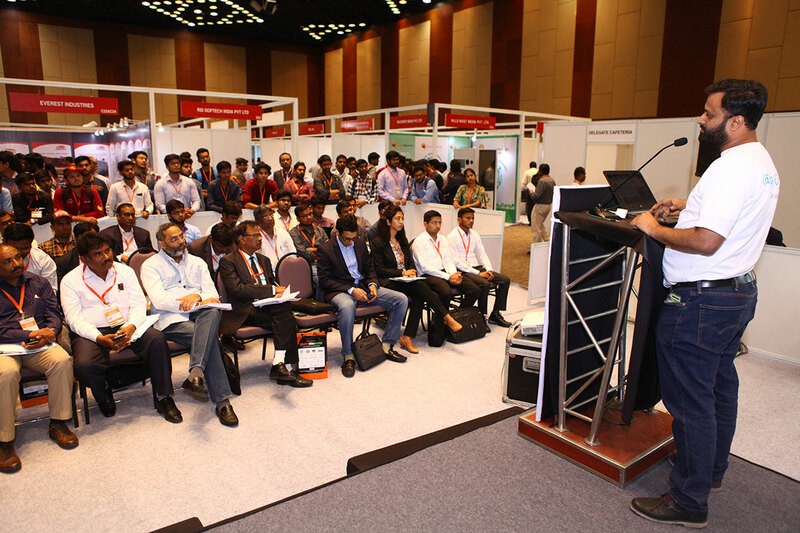 It was a platform for start-ups and technology leaders to showcase their innovative technology, apps and smart solutions that will drive execution of smart cities in the coming years. 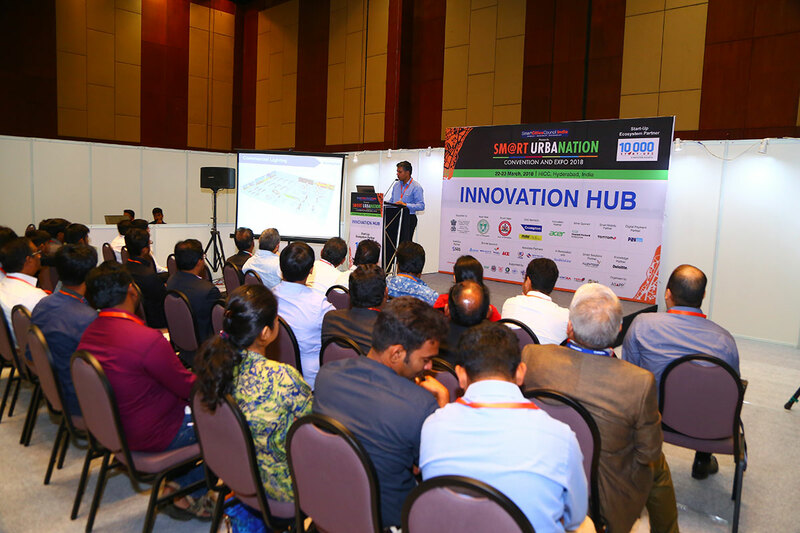 The main aim of Start-up Innovation Hub is to convert urban challenges into opportunities. 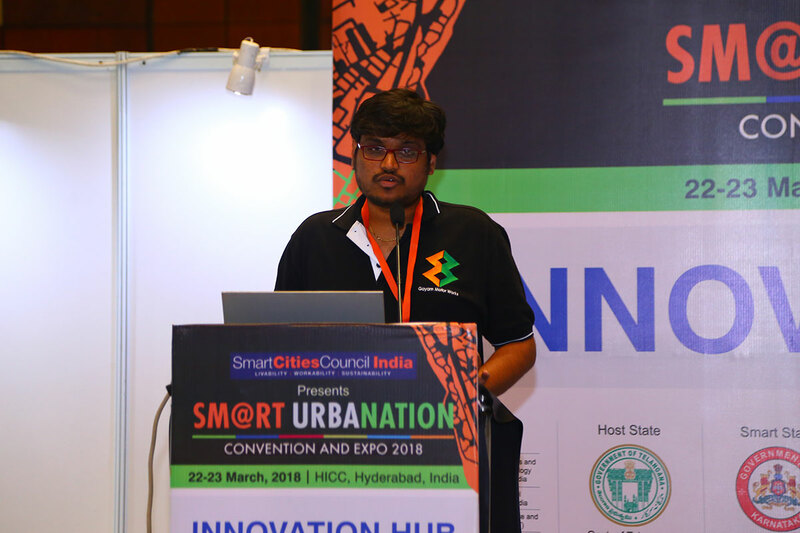 This award was given to the Start-ups who have created the most innovative solutions for cities. 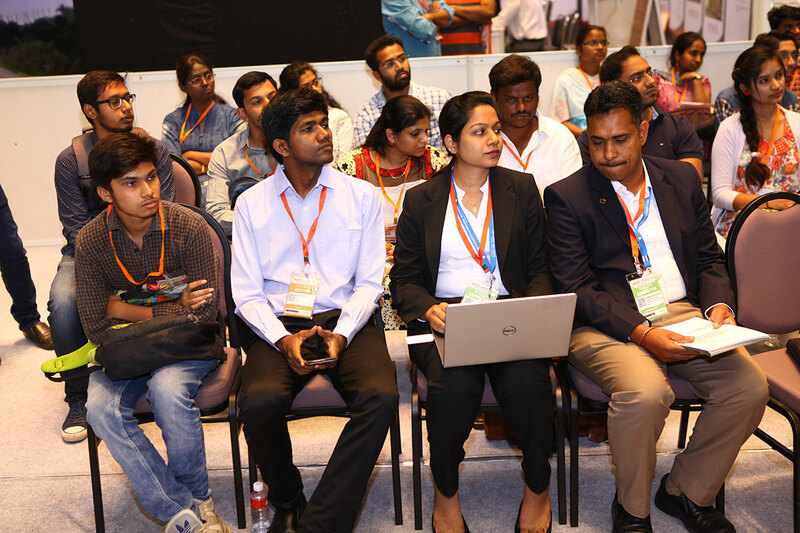 Our eminent jury members vetted the startups projects, to find the top 3 winners. 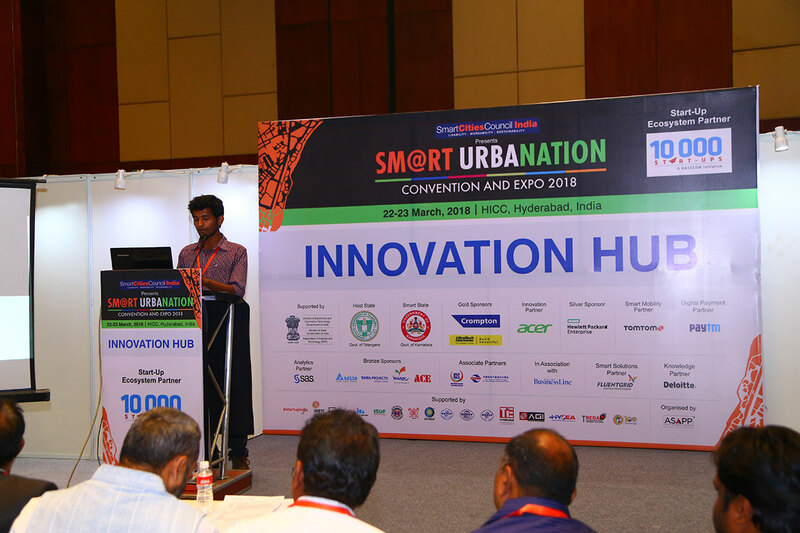 After 15-minute presentations from Startups at the Innovation Hub Theatre from the pool of Innovation Hub applicants, 3 worthy winners were chosen and given an opportunity to display their innovation at Smart Cities Week Silicon Valley in 2018.